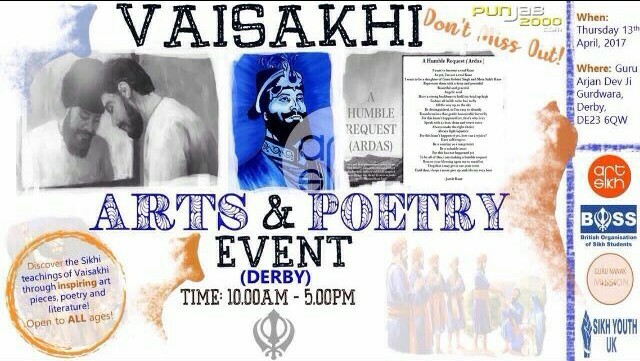 Ready for Vaisakhi? But…do we take the extra steps to learn what Vaisakhi stands for? Do we take time to understand the true meaning, value and essence of Vaisakhi? Do we know about the origins of Vaisakhi? 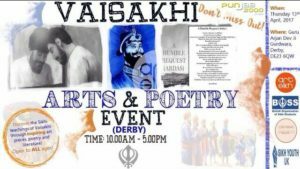 On Thursday 13th April 2017, Sikh Youth UK, Guru Nanak Mission and BOSS (British Organisation of Sikh Students) are blessed to hold a Vaisakhi Poetry and Arts event. Sangat will be able to learn more about Vaisakhi and in the true spirit of Sikhi, it is open to all. What is the aim of the event? As Sikhs, we can never stop learning; the event is a powerful and visual means to share what Amrit is, who the Panj Pyareh were, what the 5 Ks stand for and what it means to be a Singh or a Kaur. We need to stand united in order to address the misconceptions of what Vaisakhi is and to return to embracing the Sikhi principles that Vaisakhi teaches us. It is best to bring along and share any poems, art work, web links which share the meaning and importance of the Dastaar, especially when negative issues arise. Don’t miss out on taking those few steps to your Guru Ji.